EuroTech Windows’ popular French Doors are durable and secure. French Doorsare a great luxury to have, not only are they aesthetically pleasing but they save space by opening outwards or inwards depending on space available, being ideal for homes with limited space.French Doors are becoming increasingly popular in Melbourne due to their stylish look and feel and also due to their functionality and space saving designs. They also give maximum sunlight and ventilation, giving an enhanced feeling of openness. At EuroTech Windows, you would find a wide variety of uPVC French doors available in Melbourne. 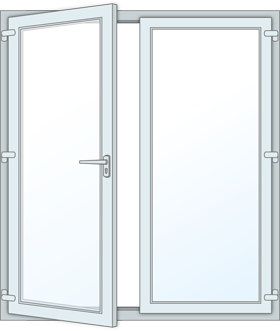 French doors are custom-sized and can fit any opening. 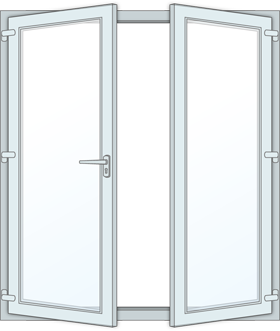 French doors typically lead to the exterior of the home or into a balcony. 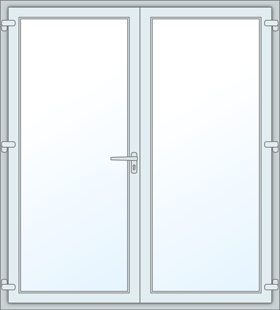 As with all of our products, French doors are complete with all hardware, locks and hinges. Whether you’re building a new house or renovating your business, nothing can beat the exquisite elegance of having French doors complimenting your residence in Melbourne. French Doors add both aesthetics and functional value to the home. Here at EuroTech Windows, we manufacture strong, wide profile French doors to suit your specific needs. We are committed to customer satisfaction and aim to provide prompt, efficient service with any project. We prove to be innovative in our service delivery and are strongly guided by our principal purpose to provide the highest quality products and service.